This flavorful and addictive side dish complements nearly every protein you can think of, from chicken to steak and fish to pasta. Roasting broccoli florets at a high temperature crisps the edges, and leaves the stalks tender and perfectly done. Mixed with a simple yet addictive combination of garlic, olive oil and grated Parmesan cheese, this gluten-free side has only five ingredients but packs a huge flavor punch. Best of all, it's ready in under 20 minutes. You'll have a hard time stopping yourself from eating it right out of the pan before serving! You can try this recipe without the Parmesan cheese if you have dietary restrictions. 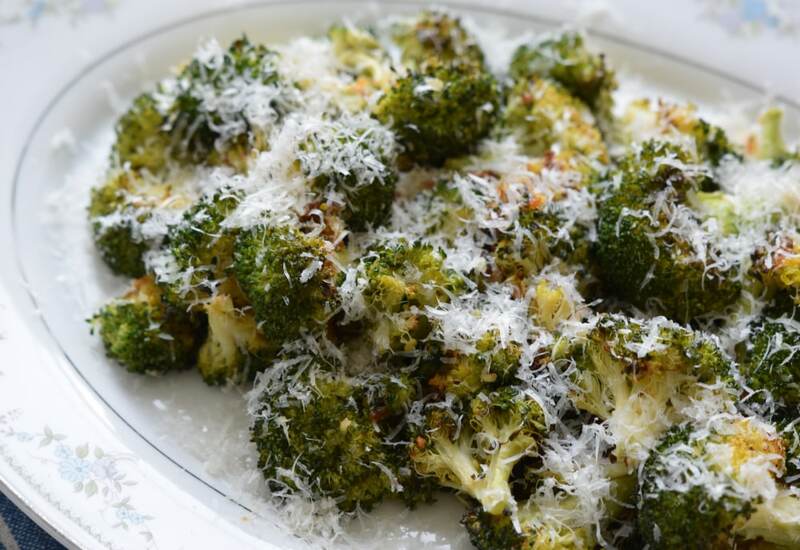 To get that same cheesy flavor without the dairy, sprinkle the roasted broccoli with nutritional yeast. Alternatively, top with toasted, chopped almonds or peanuts for a protein kick and extra texture. Per Serving: 122 calories; 10g fat; 3.9g carbohydrates; 4g protein; 11mg cholesterol; 362mg sodium. Yum! Paired very nicely with our cast iron steak tonight. This recipe is the only way I am able to get my kids to eat their vegetables! It also goes great with steak and potatoes. I like to add crushed red pepper on time of mine. Great side dish, love the cheese. I usually make this with tilapia and rice or potatoes.